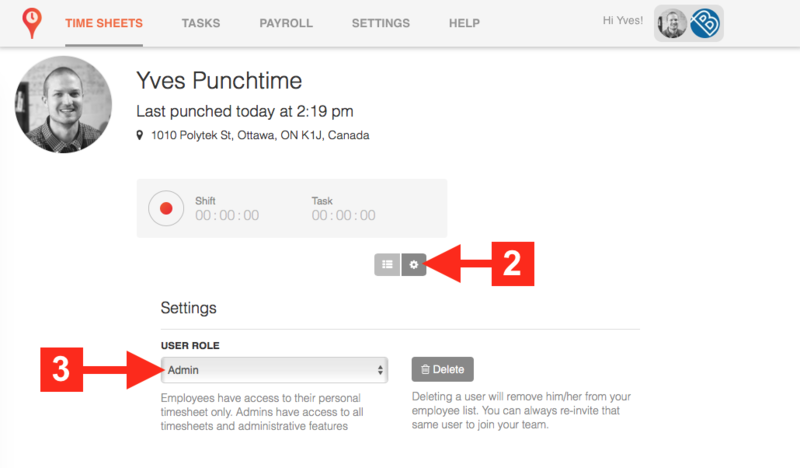 Some organizations will require multiple people within the company to manage the Punchtime account. In this case, you simply change the user role from Employee to Admin. This is achieved in 3 simple steps. Admin users will have full access to the account.